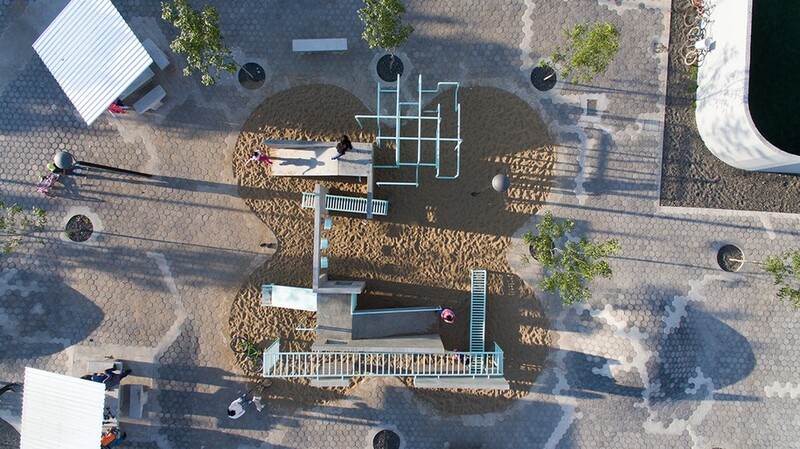 Created in only six months, in full alignment with tight budgetary requirements and the need for ongoing low maintenance, the two parks featuring simple design solutions and affordable/low-cost materials such as concrete, steel and cement blocks, and have been built with the support of the local community, by mobilizing the enthusiasm of local residents and generating a sense of belonging to a multicultural community. 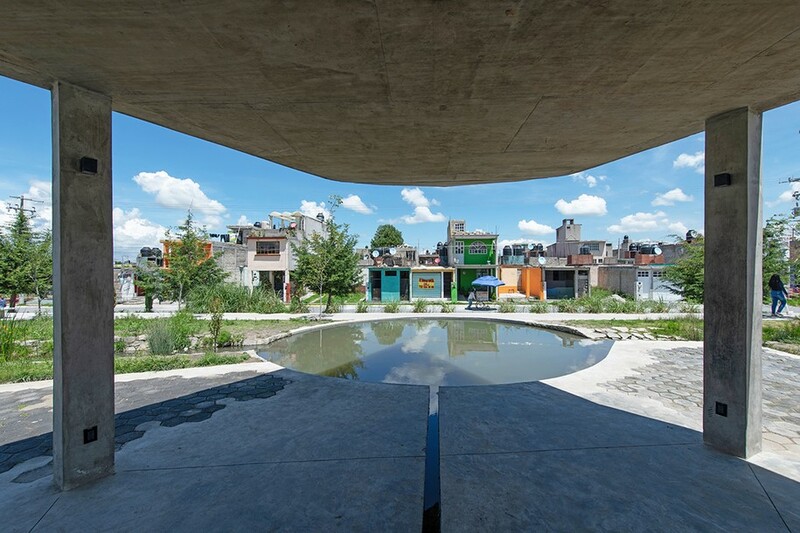 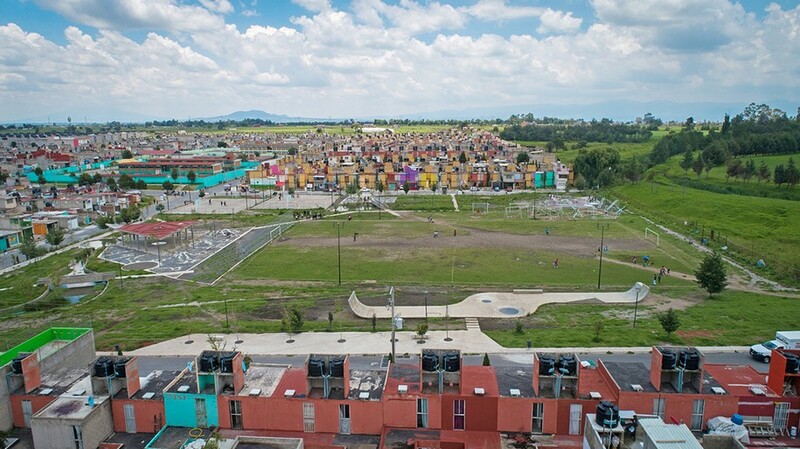 “It is important to change not only the physical condition but also the perception of the space: as a designer, I believe that supporting local communities to achieve better public spaces for their families helps the greater community” — asserts Francisco Pardo, founder of the Mexican firm. 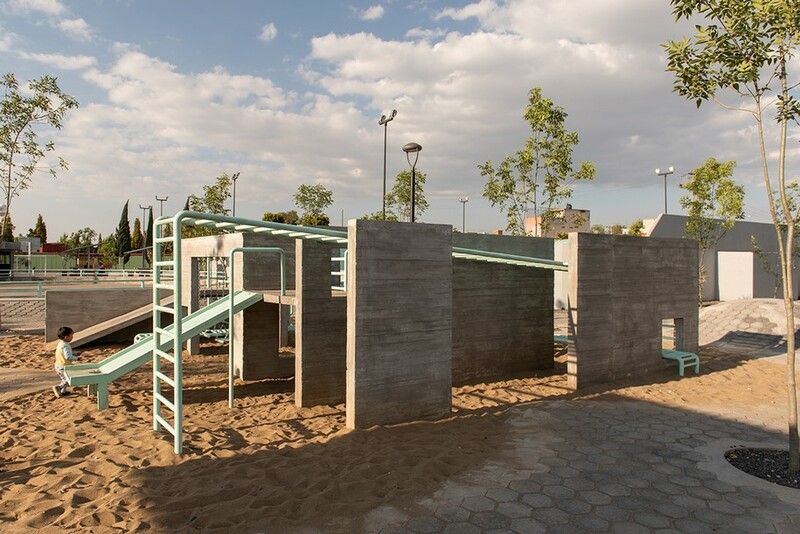 Parque Colinas del Sol consists of the revitalization of the plazas and parks pertaining to the Unidad Habitacional de Colinas del Sol in Almoloya de Juárez. 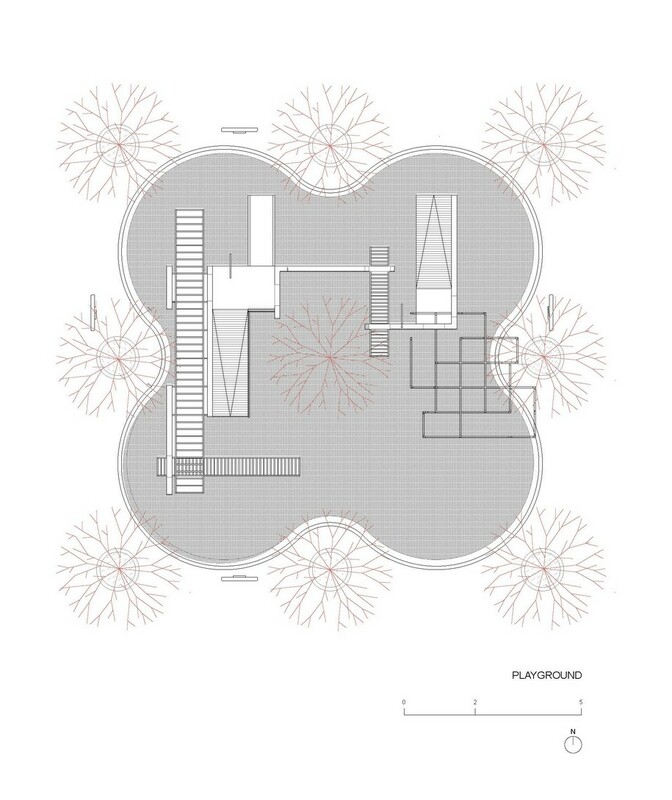 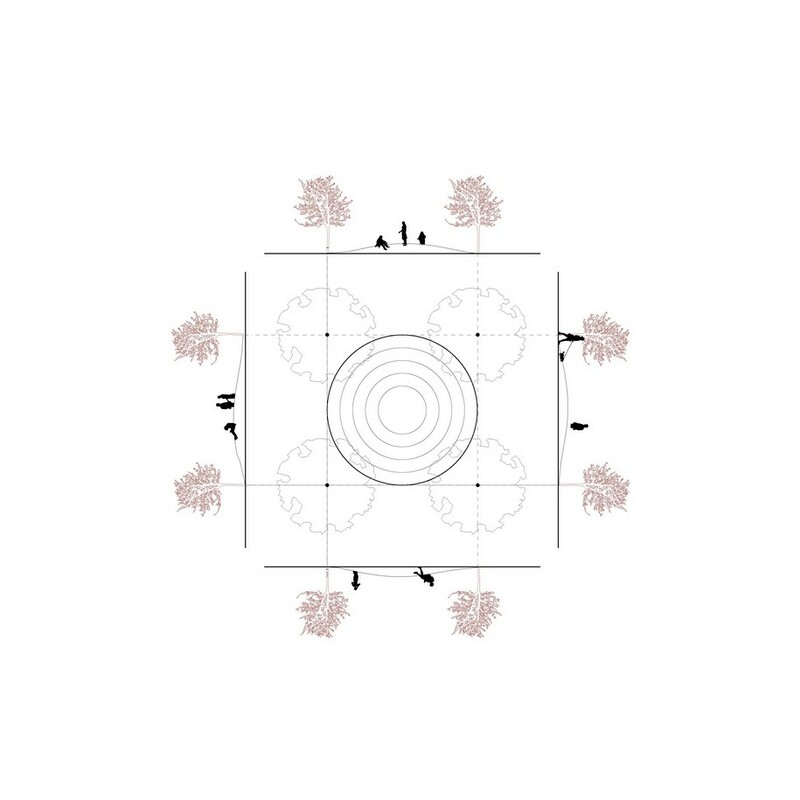 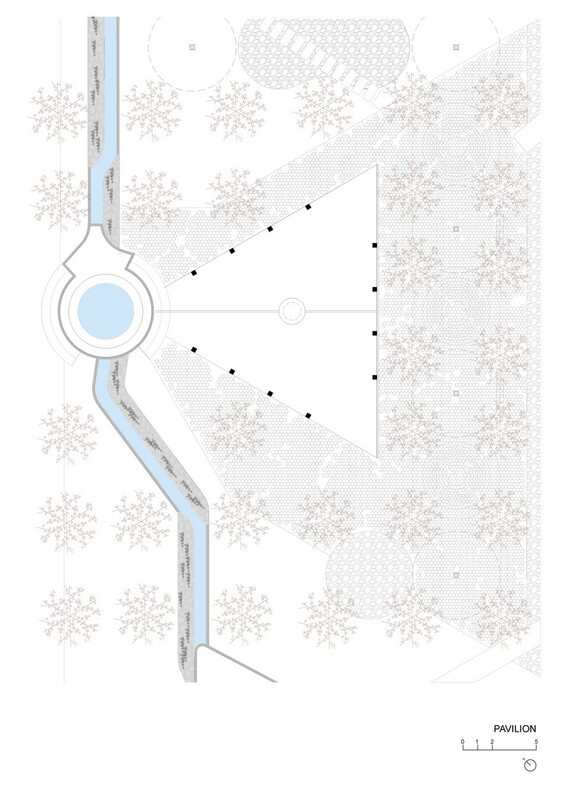 In order to optimize the two-hectare area, the site has been divided into different thematic areas — from the playground to the meditation spot, the skate ramp and football court to the pavilion for public events, enabling spontaneous and effective architectural interventions. 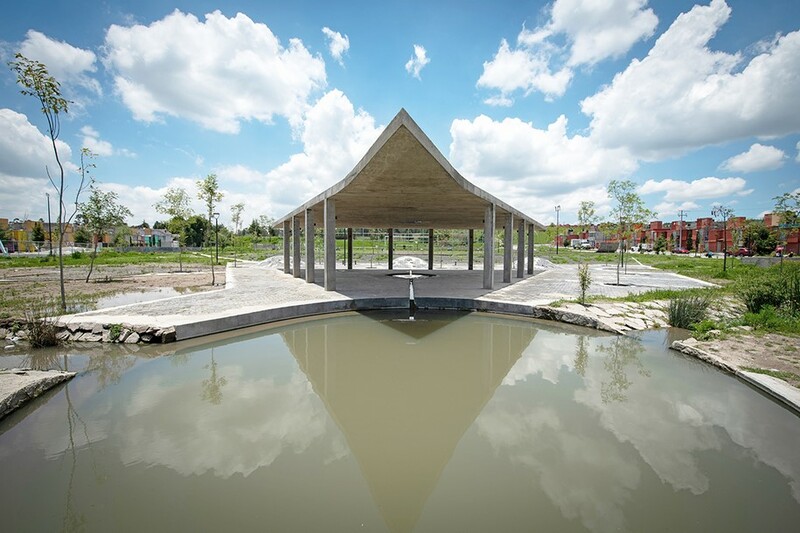 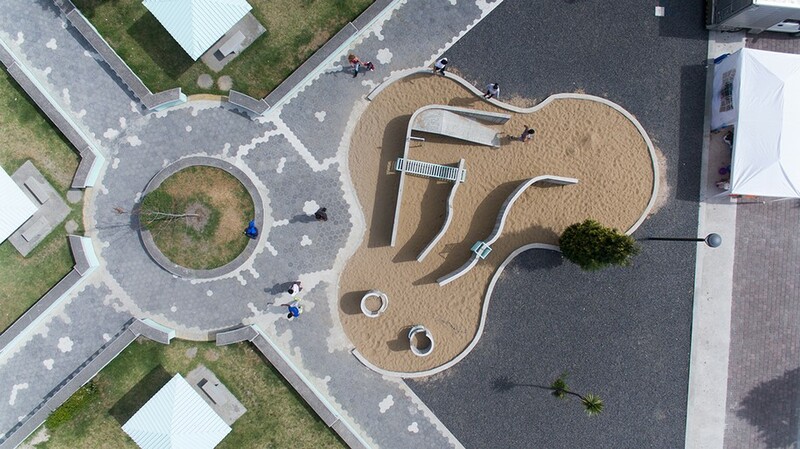 Created in only six months, the two parks have been built with the support of the local community, by mobilizing the enthusiasm of local residents and generating a sense of belonging to a multicultural community. 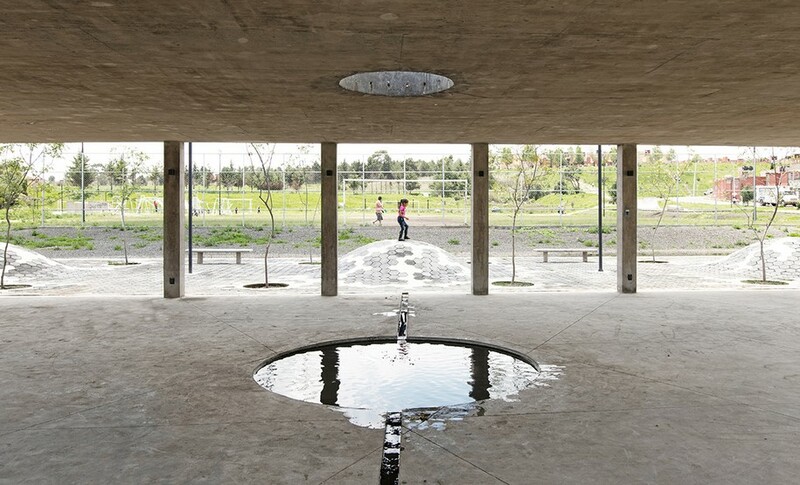 A partially contaminated water stream has been transformed into a river allowing a slow drop watering system for tvegetation and articulating the different sections of the park, which have been designed according to the activity and the users’ age, to foster family gatherings and the integration of the community. 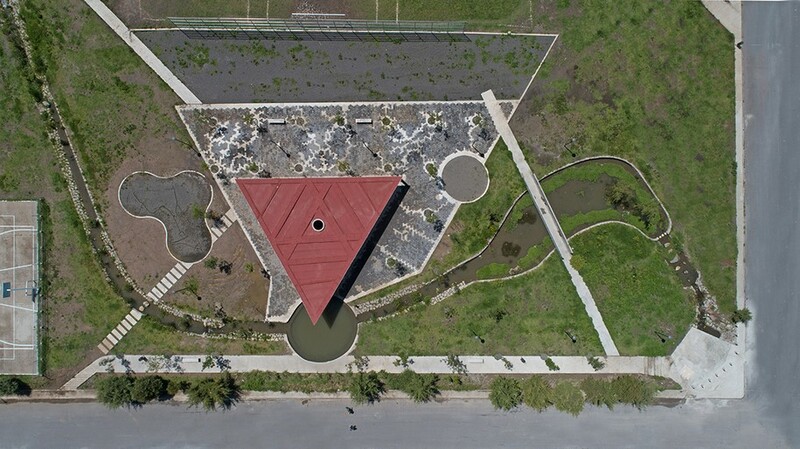 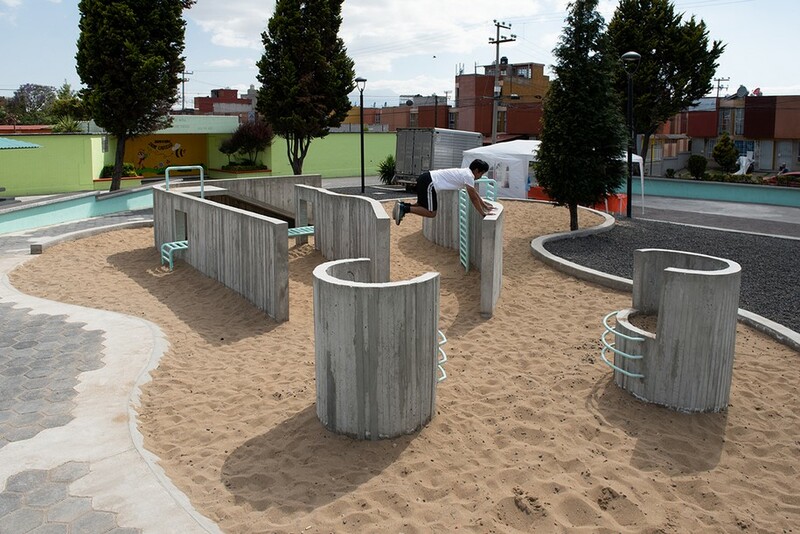 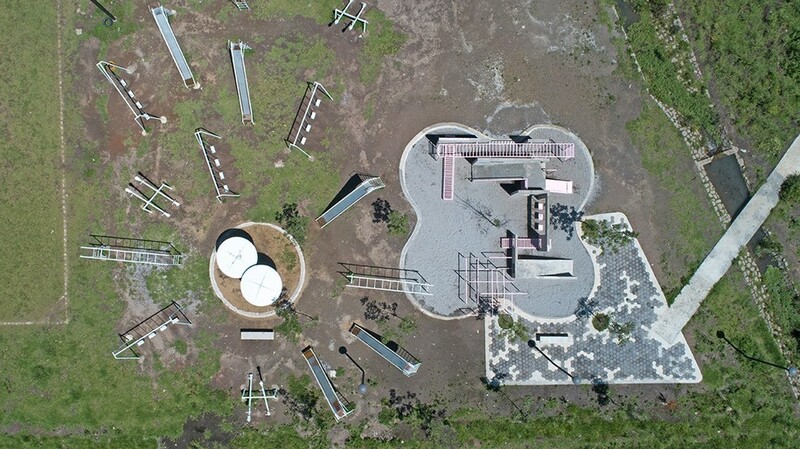 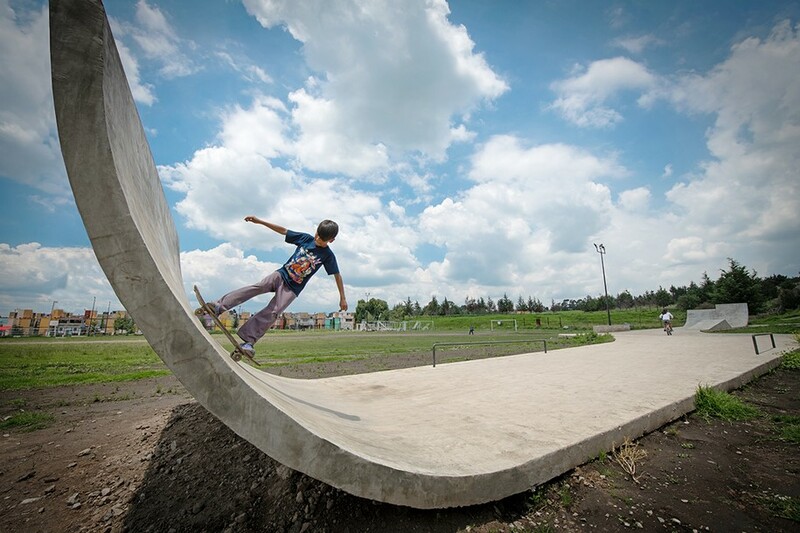 The makeover of Parque Los Héroes, located in the Unidad Habitacional de Los Héroes Sección III in the city of Toluca de Lerdo, consisted of renovating the existing pavement using a single modulus, in order to articulate different spaces and define new activities. 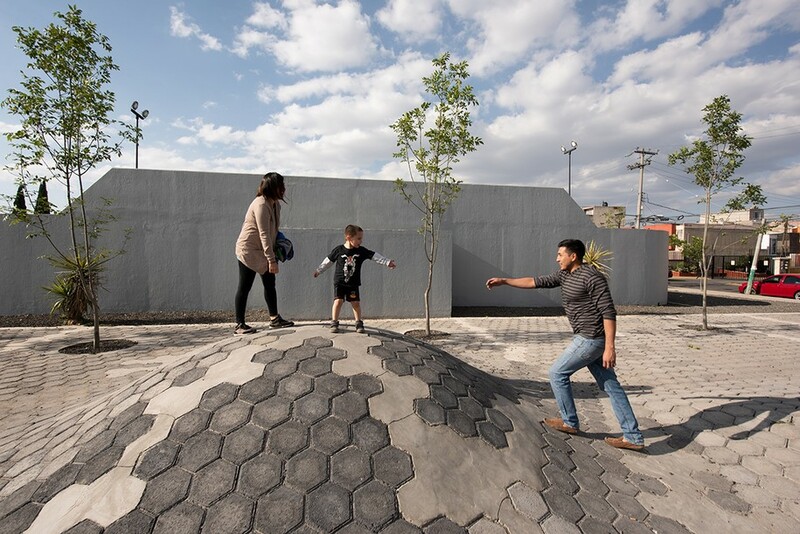 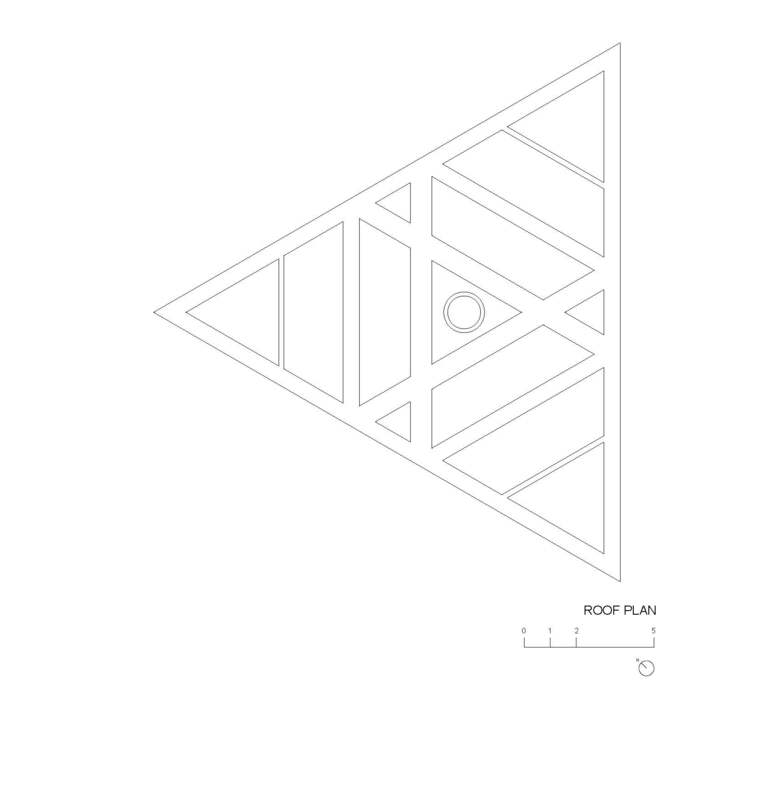 The unit is an hexagonal cobblestone which, like a pixel, modifies the topography and favours a flexible space layout. 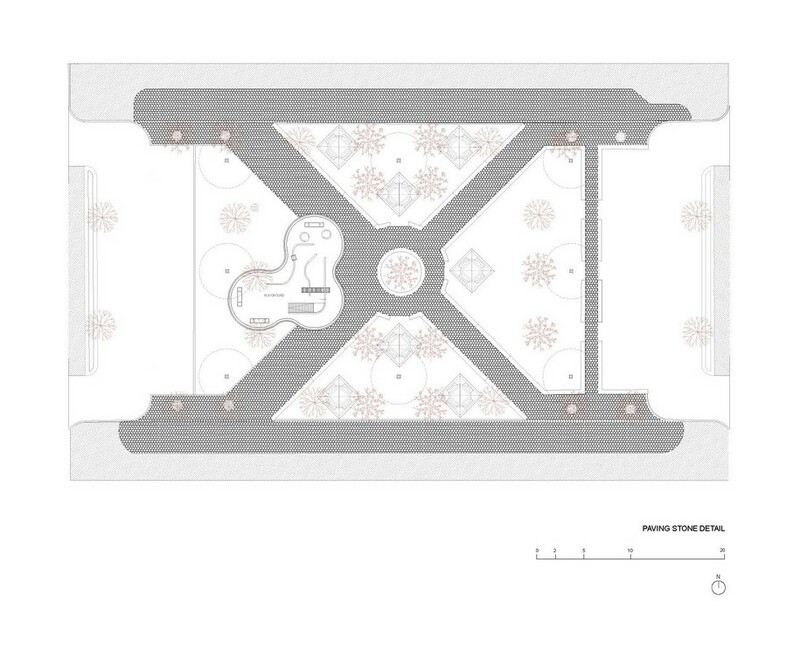 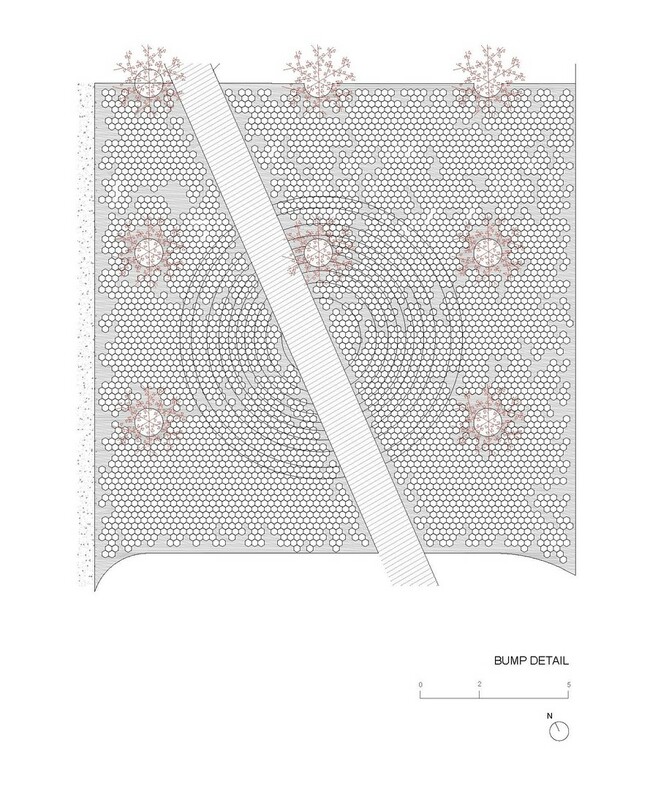 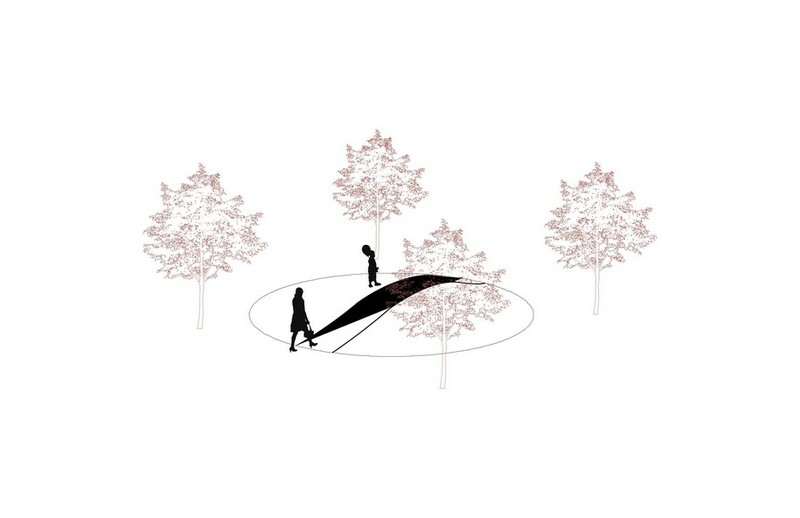 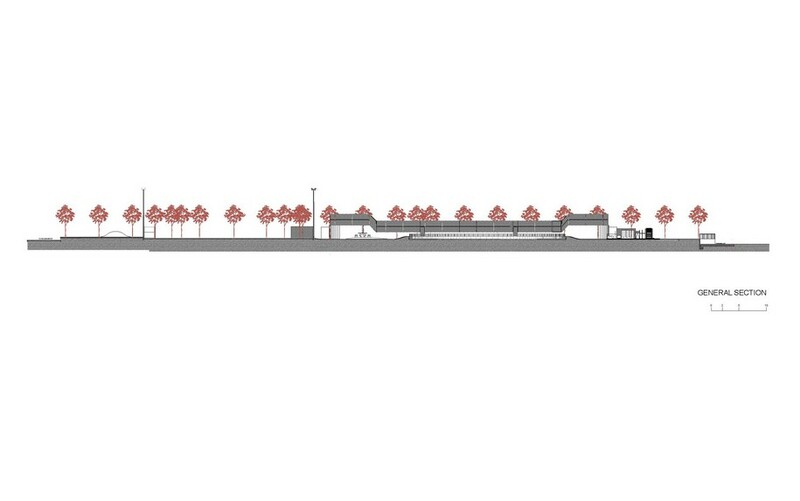 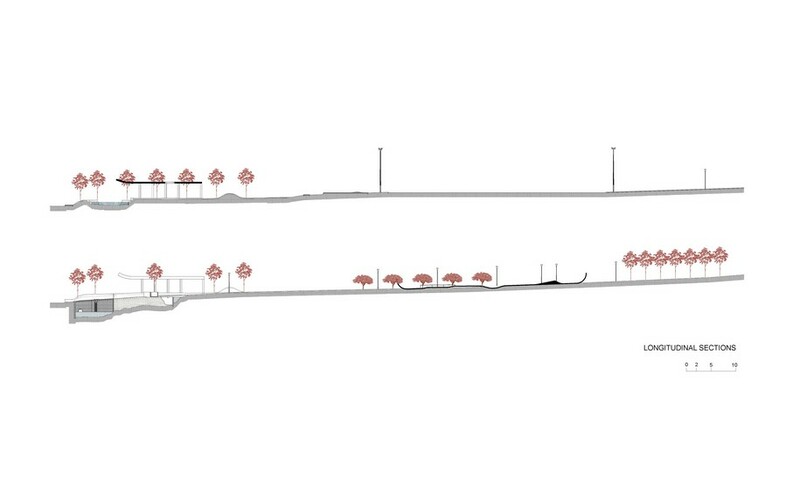 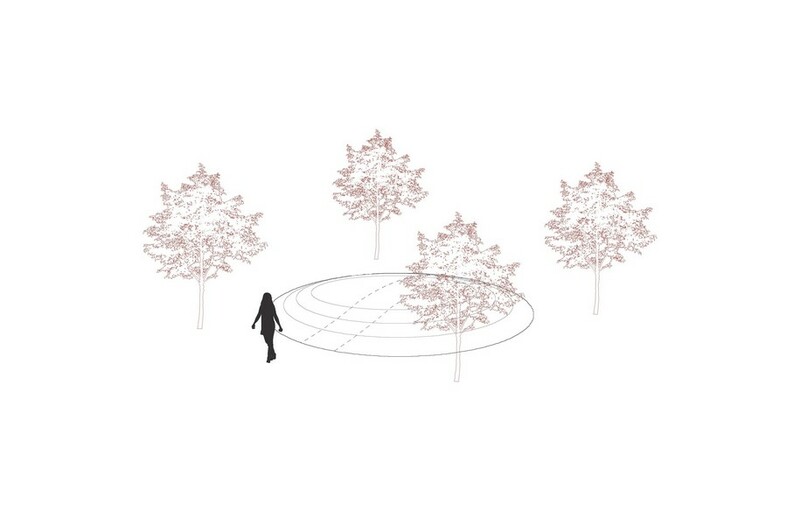 To complement the proposal, a tree grid of 100 new pieces — each located at a three-metre distance, has been installed. 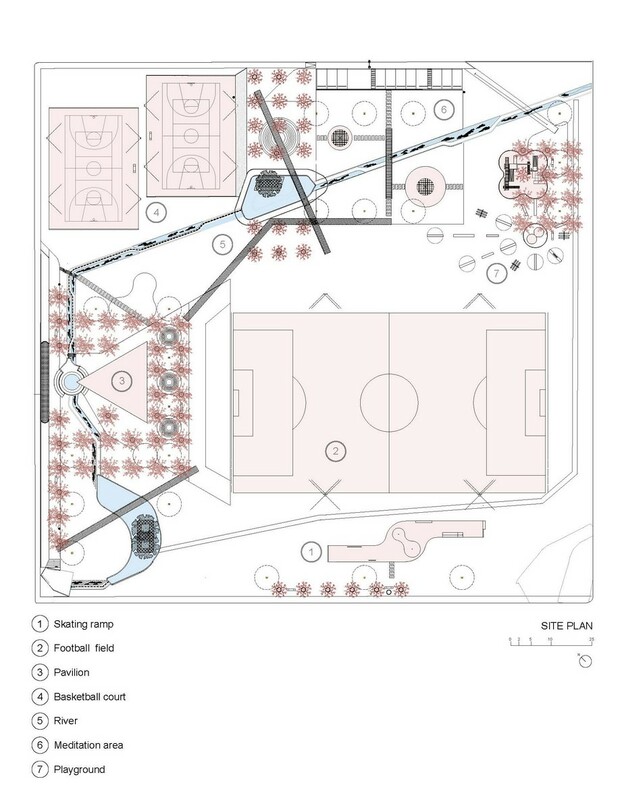 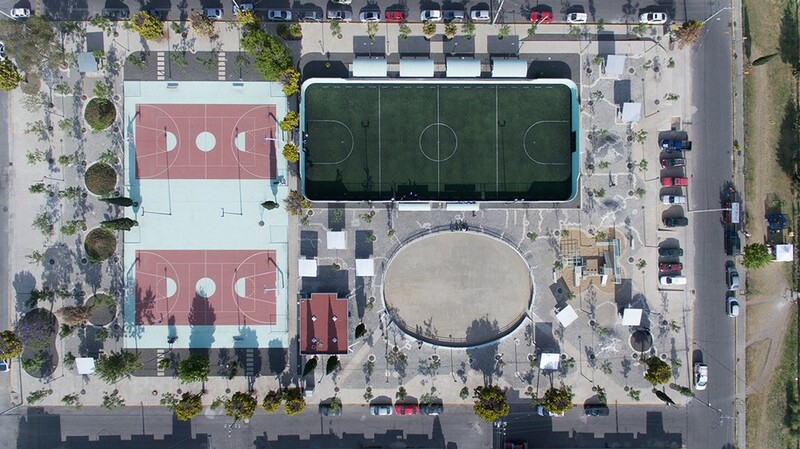 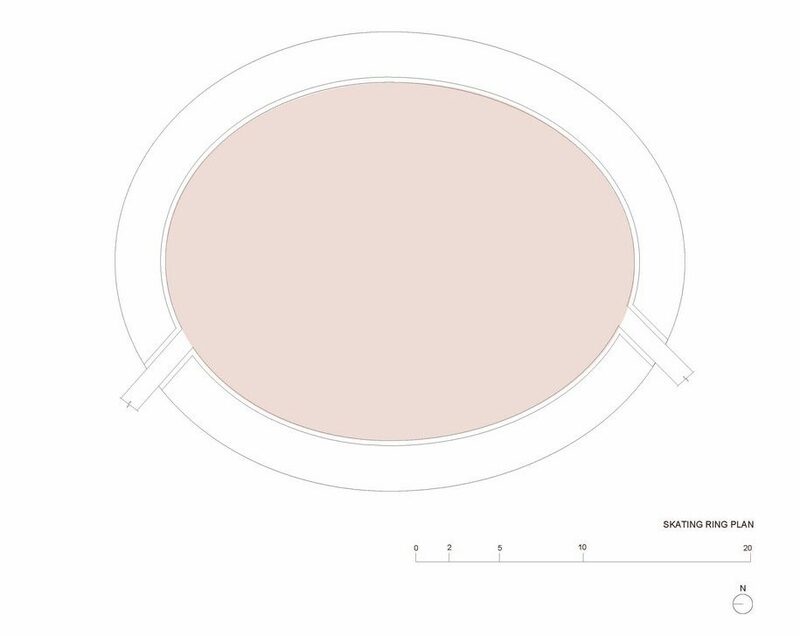 Including children’s playgrounds, a football and a basketball court, and a skating ring, the park is inclusive and has been designed to improve the life quality of the adjacent housing units and primary school. 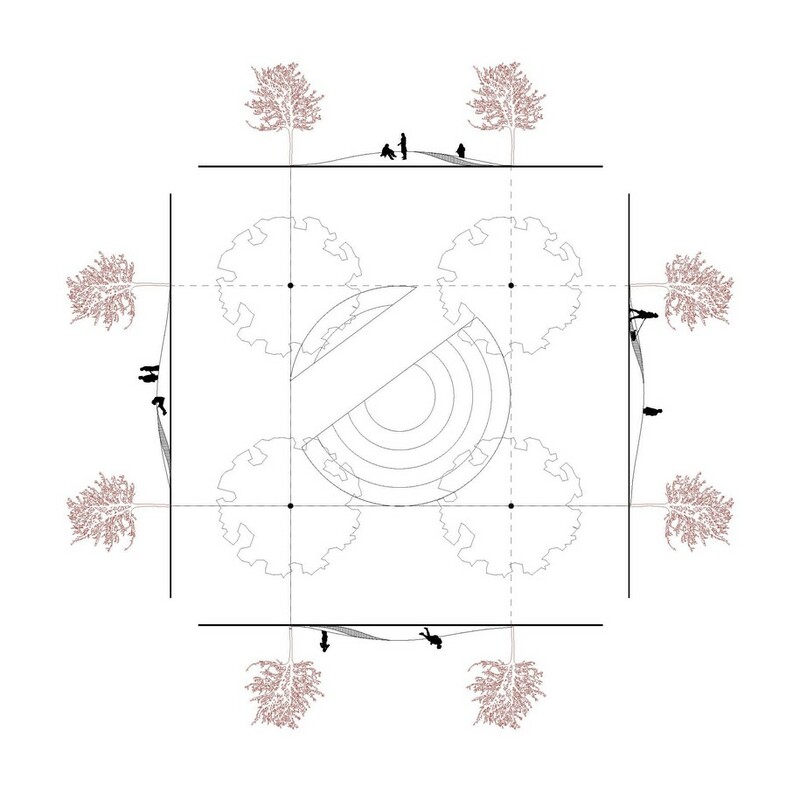 Although they have been designed according to specific natural and social conditions, both projects feature common elements, thus ensuring harmony among the built and natural environments that can be repeated or integrated into a system that is potentially applicable to any other context. 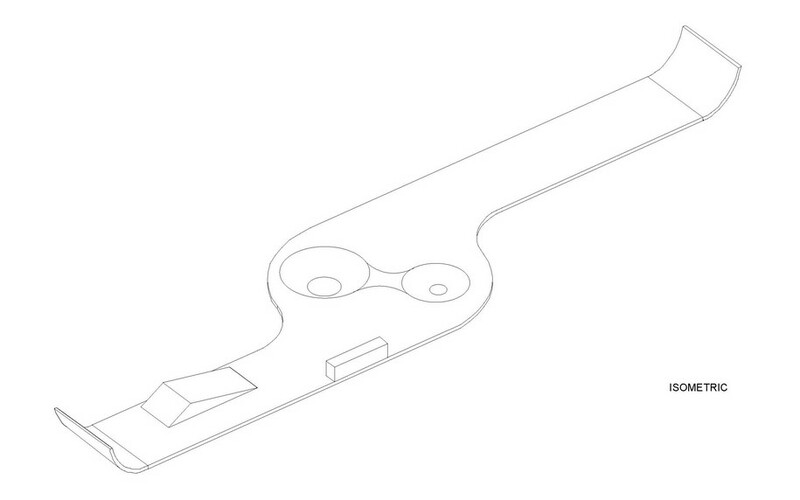 One is the floor cement block, which can be easily adapted to any layout, be it natural or artificial. 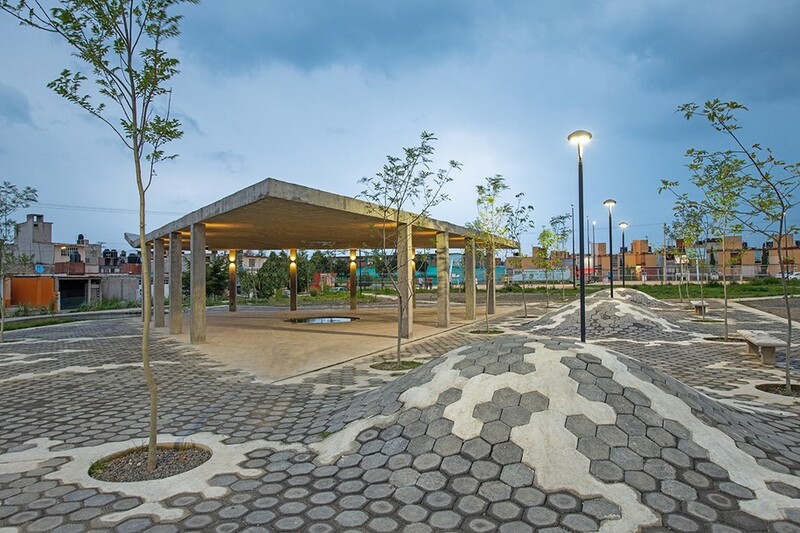 The creative combination of the blocks and in-situ poured concrete filling, generate new patterns like an urban tapestry. 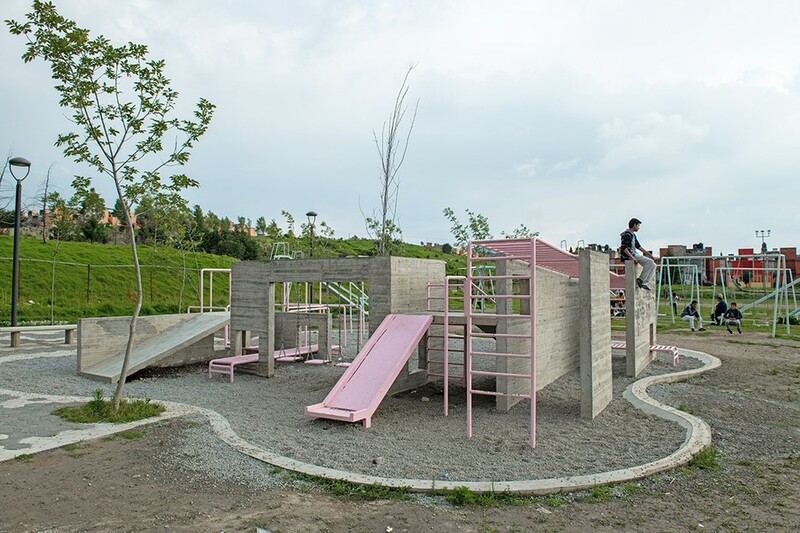 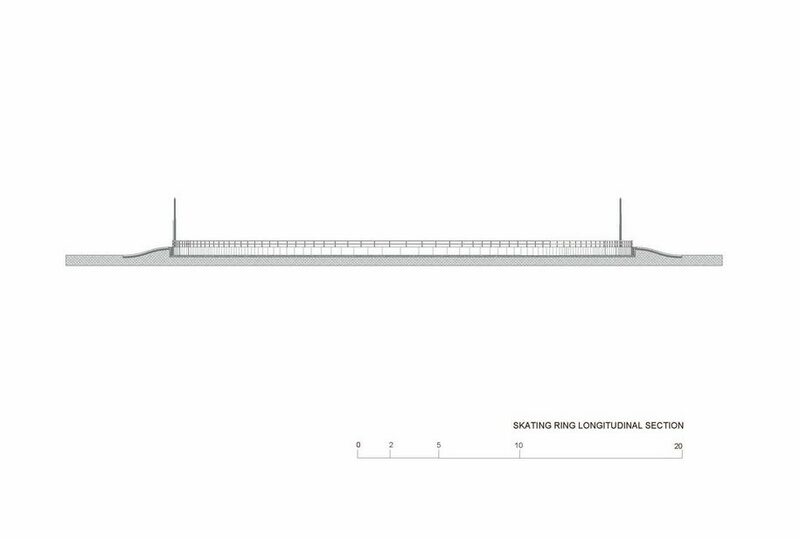 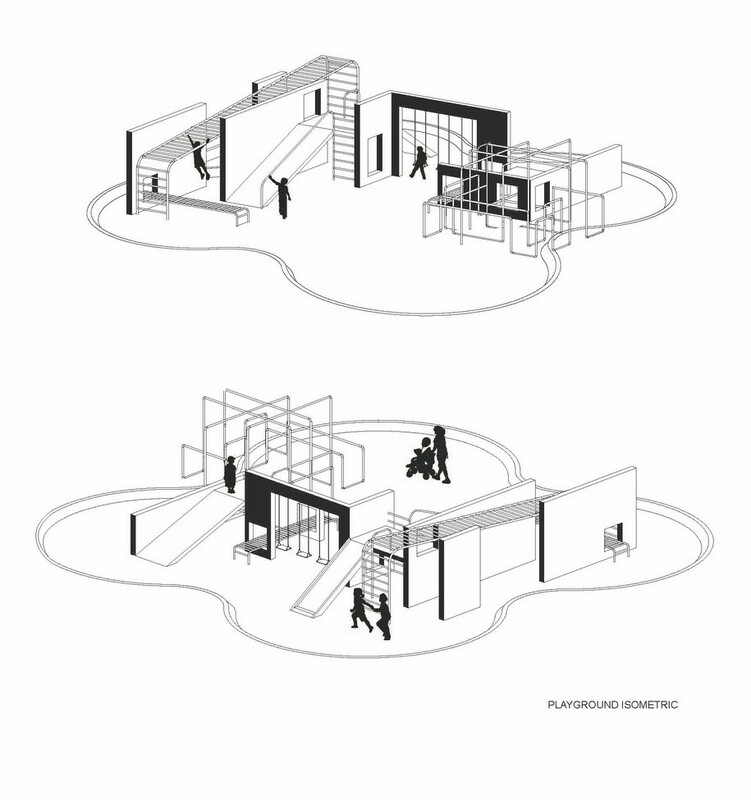 The second is the playground system: the various concrete walls and metal bars can be arranged in multiple configurations, thereby constituting different spaces that are suitable for all uses and users. 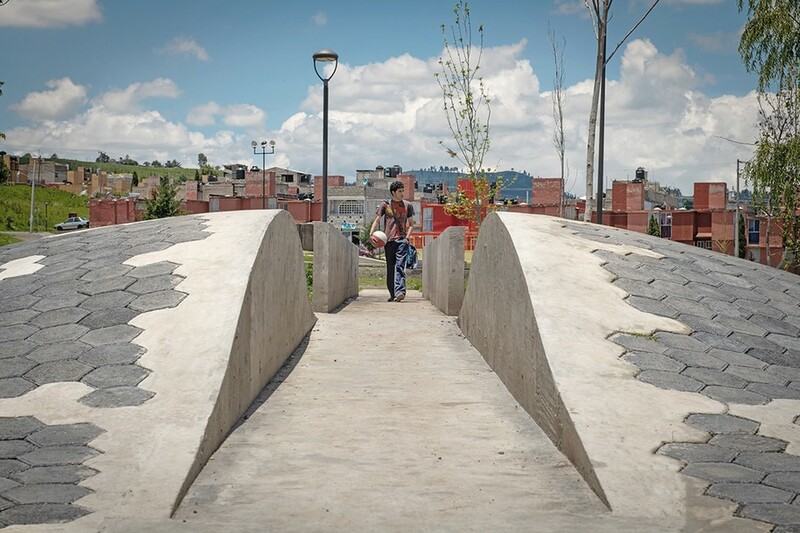 More than just oases to help citizens reconnect with nature, the parks are tools for engagement and environmentalism. 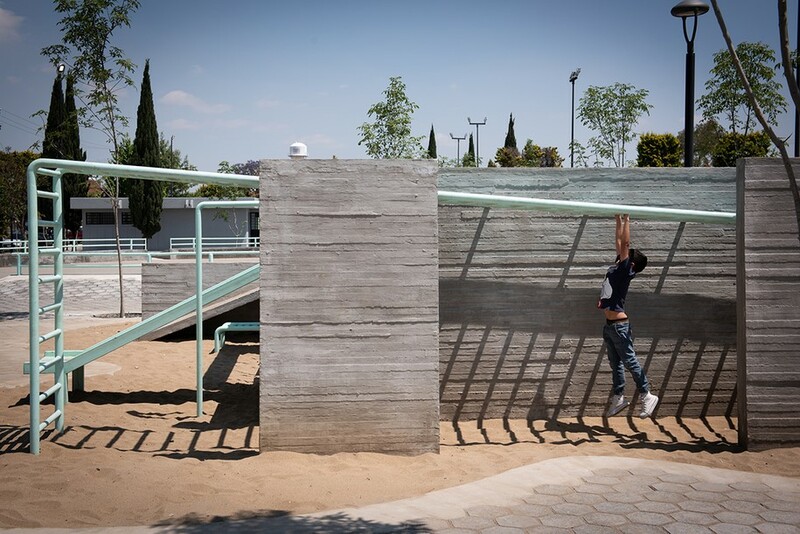 Through the transformation of suburban areas into green recreational spaces embedded in the city fabric, Parque Colinas del Sol and Parque Héroes are fast becoming a beloved urban spot for residents.